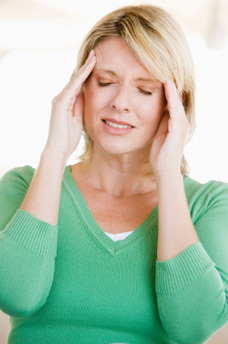 Headaches and migraines often result from an auto accident injury. Unfortunately, these painful conditions are too often ignored. At our Injury Chiropractic Central Phoenix location, our dedicated chiropractic team has solid experience in treating headaches caused by accident trauma, whether due to pinched spinal nerves or from head injury. A headache in and of itself can indicate other injuries existing from an accident, injuries that need attention and treatment from a skilled chiropractor. Even low-speed accidents can cause headaches. After all, if an accident victim is rear-ended, the body is sent in one direction and the head in another. The vulnerable neck area bears soft tissue injuries as a result, causing vertebral misalignment and pinched nerves that affect blood supply and increase headaches and migraines. Our staff’s thorough examinations can uncover vertebrae misalignment and soft tissue injuries, as well as working to relieve injury and prevent headache and migraine pain. Rapid treatment is key in alleviating long-term issues, so we encourage accident victims to seek assistance quickly – so that healing is rapid as well.